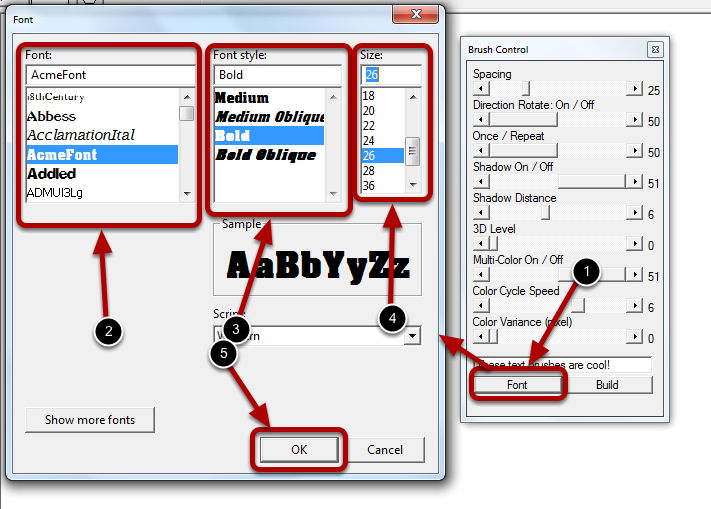 The Pro Text Brushes allow you to paint your text strings as if they were paint. 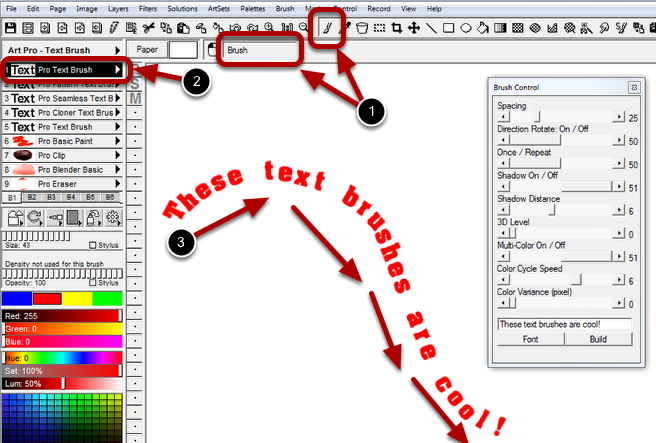 All the brushes in the Art Pro Text Brushes ArtSet follow the same general usage. See below for these general guidelines. After you have selected one of the brushes enter your text string. Select a size. The size selected only represents the size of the internal font used. 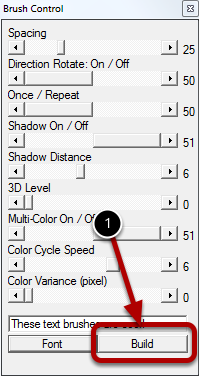 When you paint your text the size is determined by the brush size so any size selected here will work, however, the larger size you select the better quality when using large brush sizes. Press the Build button. This will build the text string into clip images so that they can be painted with. This must be done after entering or changing any text and after making any font changes. 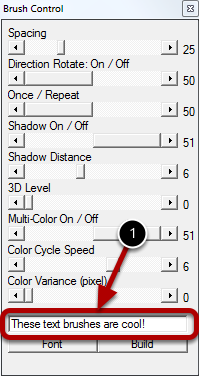 Notice the Brush tool is selected, not the Text tool. The Pro Text Brushes are brushes. 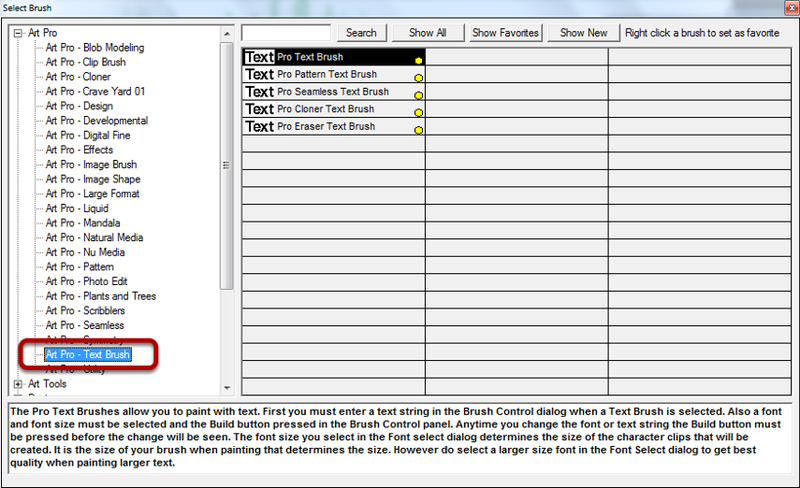 The Pro Text Brush is selected. Click and drag on the canvas to paint your text just as you would with any brush.